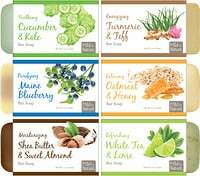 Soothes coughs associated with hoarseness, dry throat and irritants. Made with our proprietary Dark Honey Blend. 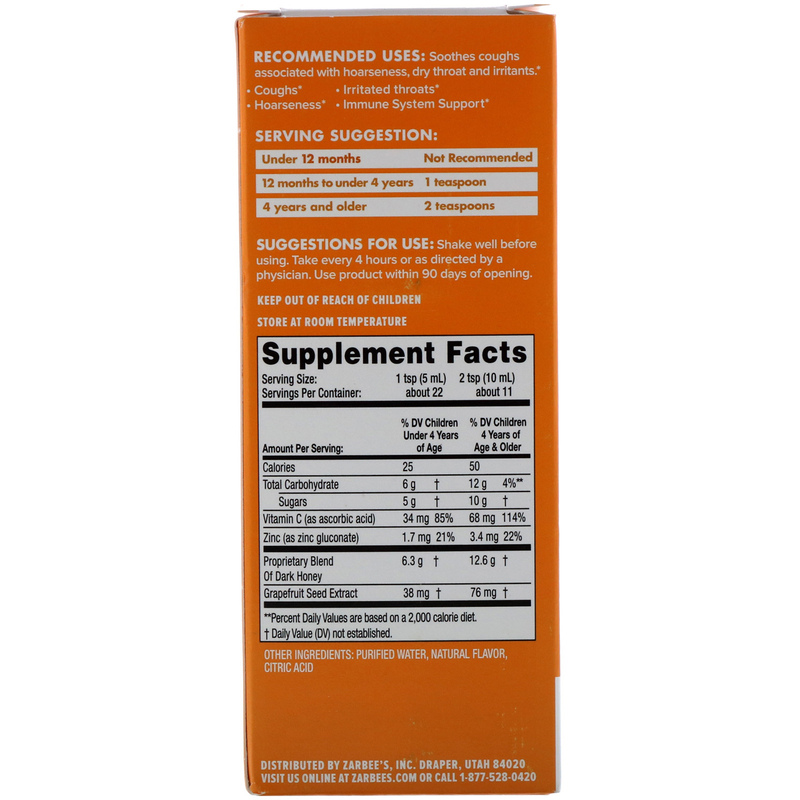 With vitamin C and Zinc for immune support. Recommended Uses: Soothes coughs associated with hoarseness, dry throat and irritants. 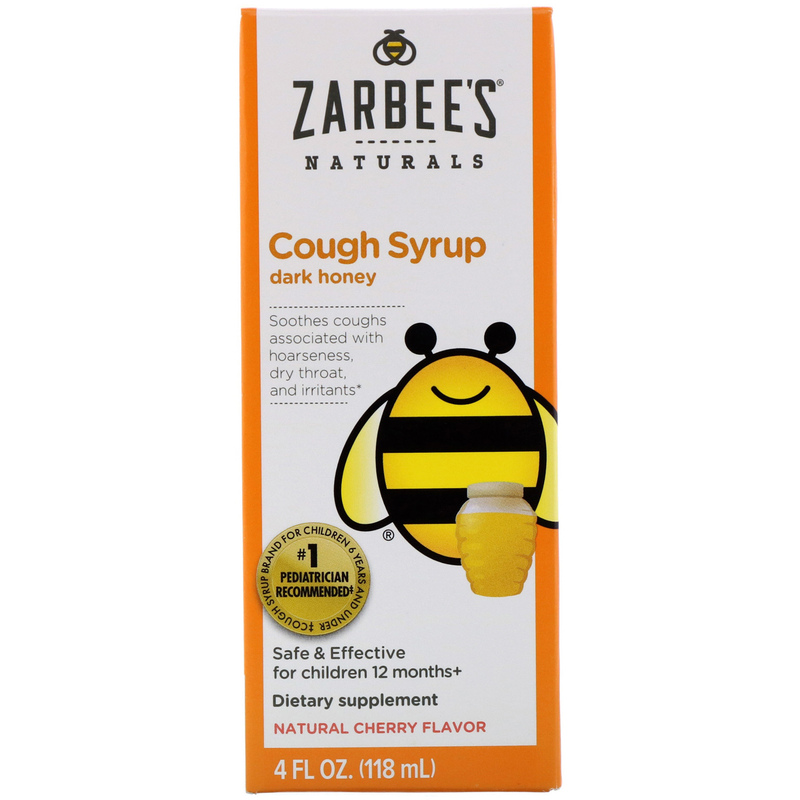 Our Children's Cough Syrups are specially formulated, proprietary blends of dark honey made to safely coat the throat and calm occasional coughs. 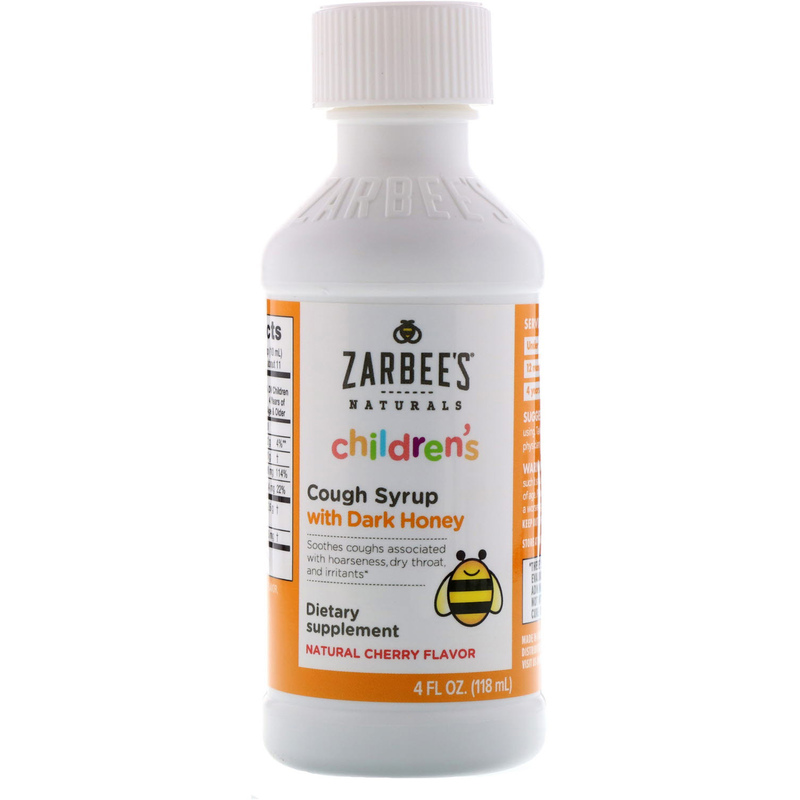 ‡Zarbee's Naturals is the #1 pediatrician recommended cough syrup brand for children 6 and under.